As technologists, we get asked all the time “What do you use in your office?” This series takes a look at the equipment and technology we use ourselves to do business at Chromis Technology. This week we look at our Firewall technology. 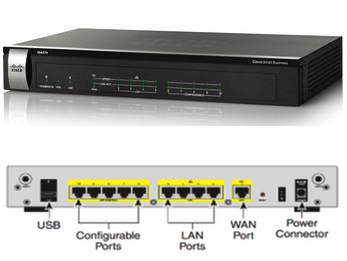 The Cisco ISA570 is an all-in-one internet access and security solution that combines highly secure Internet, site-to-site, and remote access with a breadth of Unified Threat Management (UTM) capabilities. These capabilities include firewall, email, and web security, and application control. Click here for a detailed datasheet. Leave us a comment below, what routing technology do you use in your office? Record Your Holiday Greetings & Hold Music Now!